Day 2: Drive around. Dole Pineapple plantation. North beaches. 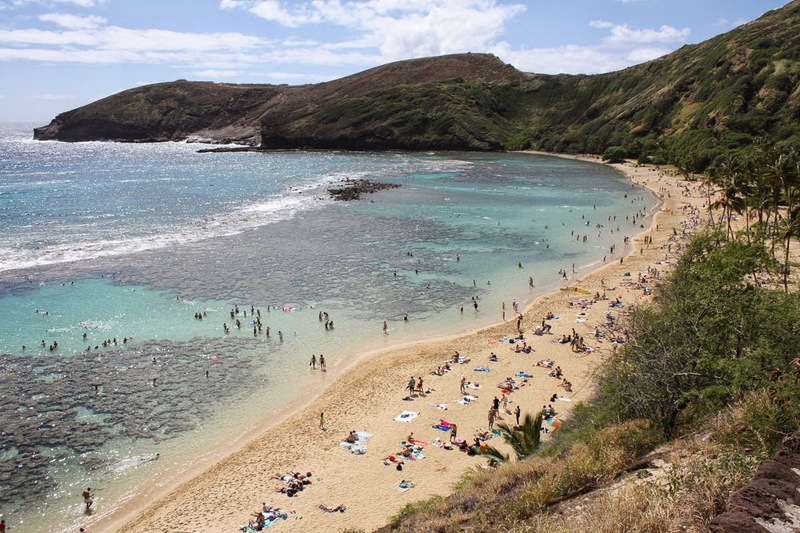 Day 3: Hanauma Bay. Waikiki beach.Other beaches. 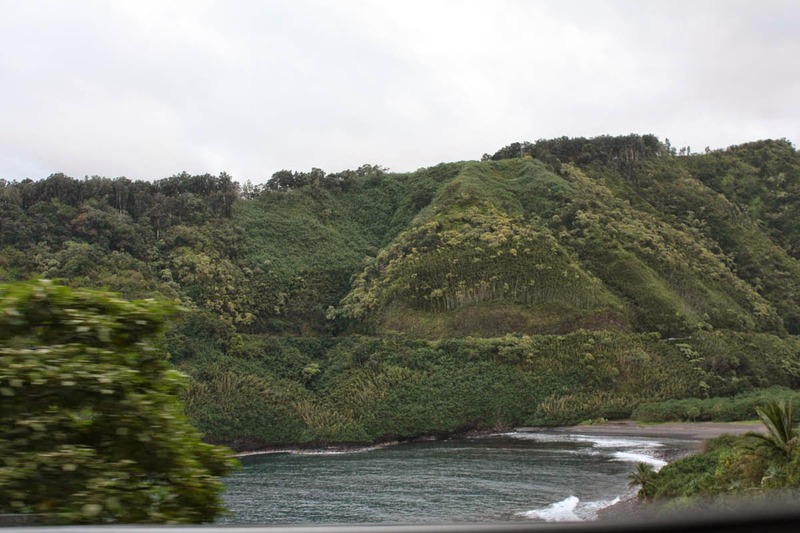 Day 5: Drive along Hana Hwy up to the black sand beach. Day 6: Tour around the Kanapalli area beaches. Whale watching. Day 7: Halekela crater(which we bunked). Hang around Lahaina town. Day 8: Fly back to Honolulu. Fly out to San Jose. 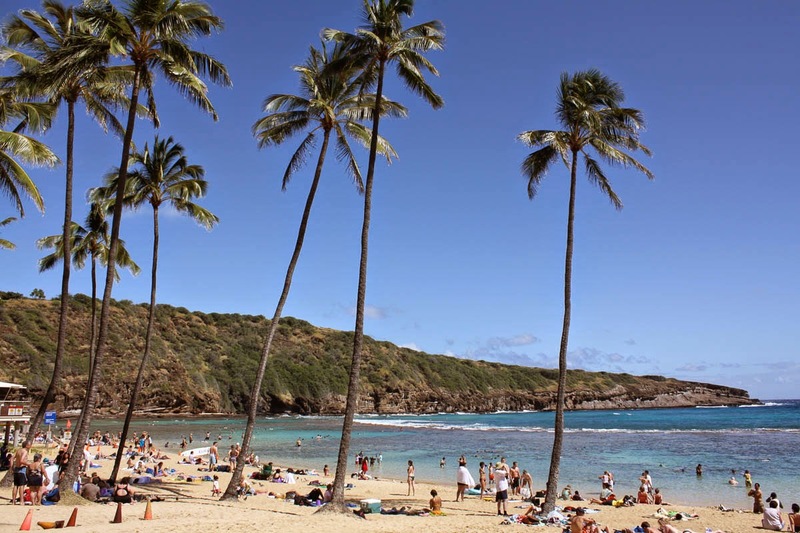 It is one of the most popular beaches around and a lot of resorts are around the Waikiki area. It is really pretty and beautiful. The streets around this beach are very lively during the evening and are perfect place to take a stroll. It is the best place for snorkeling especially for non swimmers. Since it is a bay, there are no waves and water is pretty much chest deep at the most. You need to spare an entire day here. Should go early in the morning as the crowds starts pouring in. Also early morning will have clear waters and visibility will be high to see the fish. I would like to go back to Honolulu just for this. We paid a short visit to the pineapple plantation. 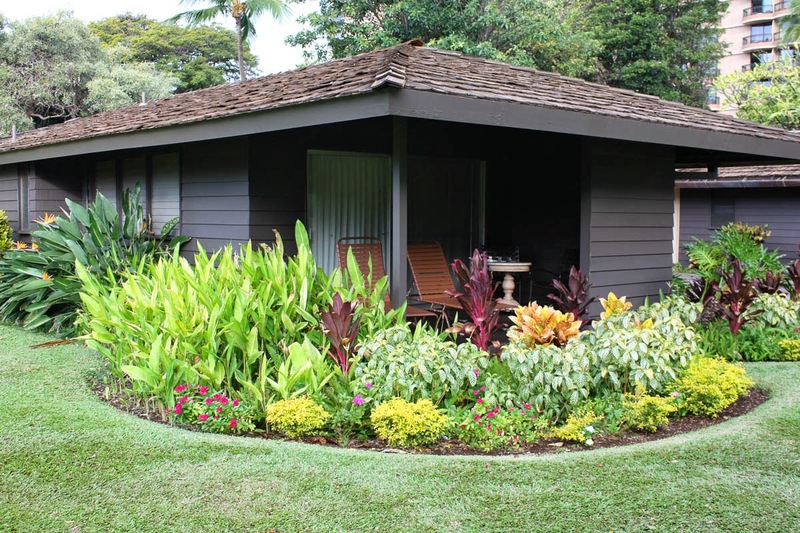 As far as I remember, they have guided tours and some train rides through the plantation. Pretty cute place and will take around a couple of hours to visit. You can drive up to the north shore and see some very very high waves and surfers having the time of their life. I was very scared to get in to the water here, but it worth a watch. There are many other beaches in the area which are less crowded and a good option if you are looking for some time away from the crowds. Most of the hotels have a map of the island and you can ask them for better beach options. There is a museum here in case you are interested. I was more than happy to skip it, and it was closed the day we had planned on seeing it. Oahu is the island for water sports. During winters, whales are migrating, Oahu is one of the islands which still has options for water sports. I think it was around the Waikiki area that you could do jet skiing, para gliding , scuba diving and stuff. Its the most overrated thing for Maui. Its basically a long curvy drive through the green hills with pacific coast one side. 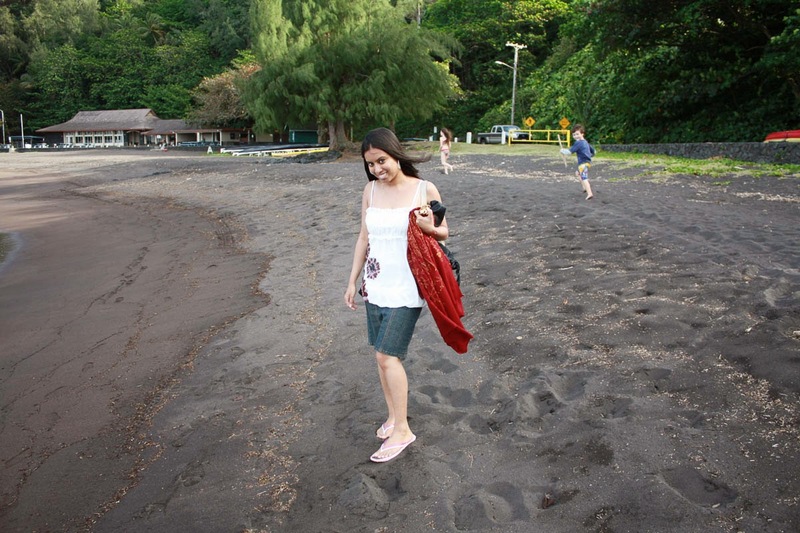 We drove up to the end( Hana beach) to see the beach with black lava sand. But, after a while it gets boring. There are lot of waterfalls and treks when you driving down. So, if you go to the beach and back it takes the entire day. I would suggest, search for hikes and stop by for small hikes to waterfalls or something on your way to make your day more adventurous. You have to see sunrise here. Its at a very high elevation and you need to trek/bike to reach the crater. Hence, you need to get up at 5 am or something to reach there on time to see the sunrise. Plus parking here is an issue, The closest parking lot has only 20 spaces or so and hence if you are late, you will have to hike uphill to get to the viewing area We did not got to Halekela as we are big lazy bums. Seen pictures of it and its beautiful!! It is very chilly in the morning so you must carry jackets with you. I cannot tell you more about this as I don't have first hand experience. Its a small town with lots of shops and its a lovely place to hang around. Lots of sea side restaurants and you can shop here as well. There is apparently a huge Banyan tree ( biggest one in north america i suppose) near the end of this market. If I remember correctly, it was right opposite burger king. Mostly the hotels have their private beaches. 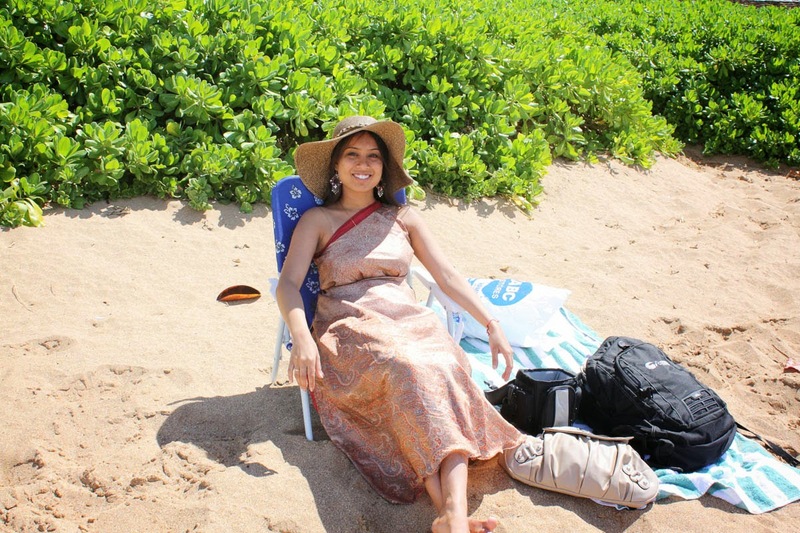 There are some good beaches in the Kanapalli area. 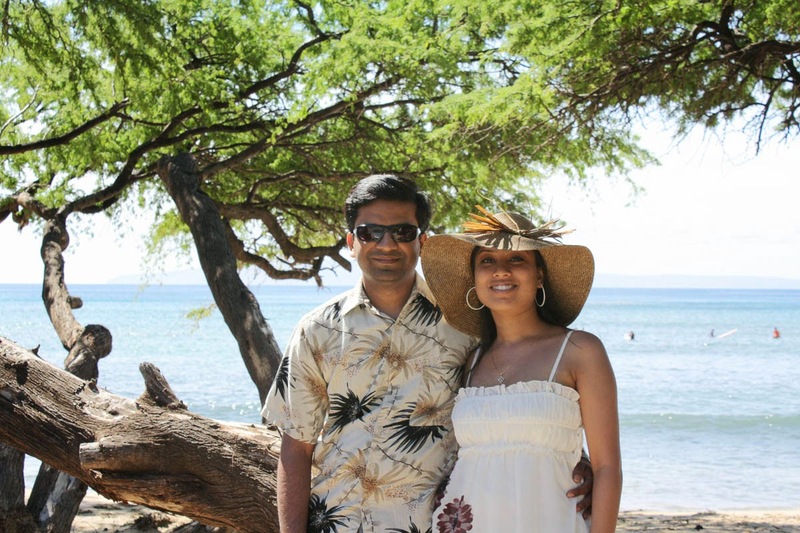 I don't exactly remember which beaches we went to, but there were a few nice ones near the resorts in the north. There is a place where the Hwy 30 takes curve and runs along the coast, where you can do whale watching. We actually did see some whales here and its awesome. It is around Feb-March when you get to see a lot of whales here. There are some whale watching tours too. Maui has one of the best whale watching spots. Since it is around this time when whales are migrating, you may have less options for water sports in Maui. So, Oahu might be a better choice in that case. You may want to watch a Luau (Polynesian show). We took a dinner cruise and they had a small show. But, I would suggest that you go for a Luau show which takes entire evening.